Disclaimer Notice: I’ve received products/compensation as part of the Xyron Design Team. This project however, is 100% my own project! Some of the links in this post are affiliate links. I explain more here. Are you starting to plan for Father's Day or the Fourth of July! 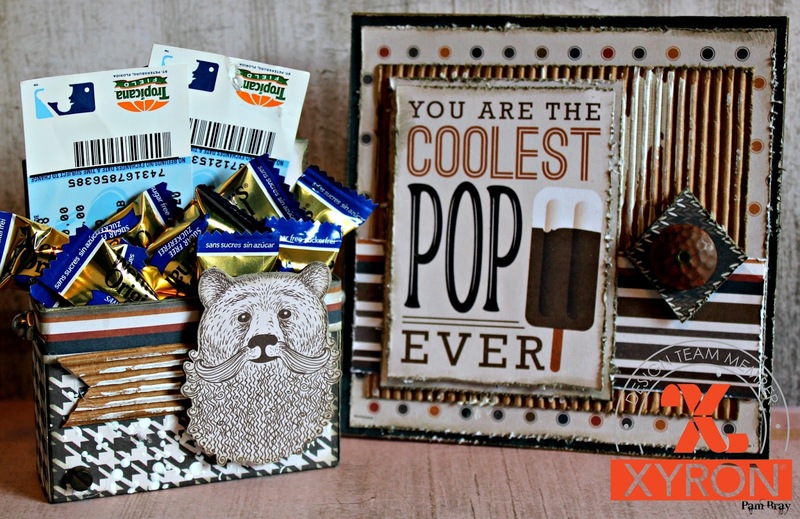 I created a Father's Day Card and Gift Box but it could easily be adapted for any holiday. Using Xyron products with pretty paper makes it so easy to create some special and unique gifts. 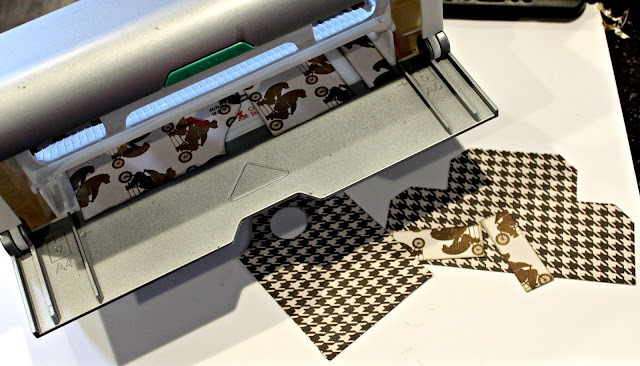 Begin by first cutting your pattern paper and corrugated paper to fit the front of your card. 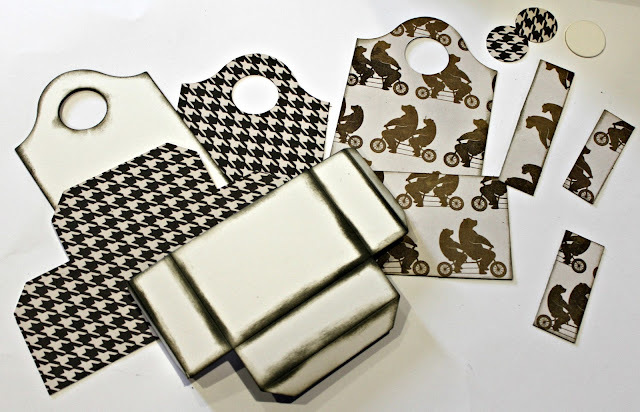 Distress pieces with distress tool and distress ink. 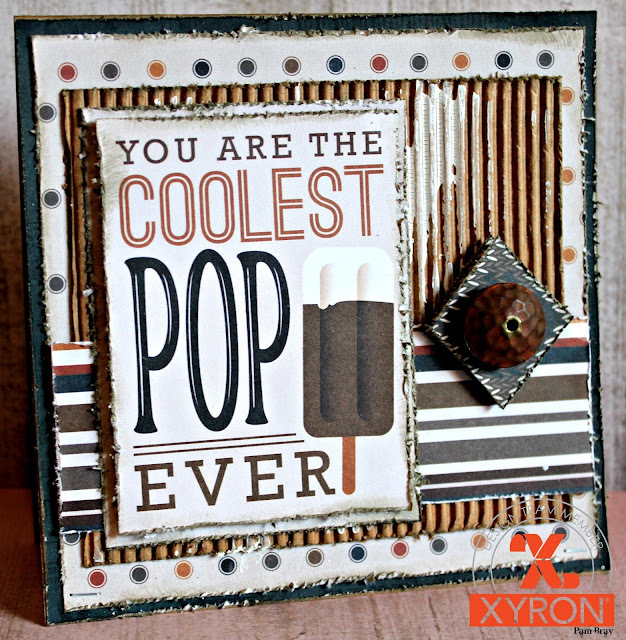 Adhere to top of card front with a Xyron Tape Runner. Apply crackle paste to corrugated paper with palette knife. Dry. Cut two of the Epherema pieces from the pattern paper; distress sides of both pieces with distress tool and distress ink. 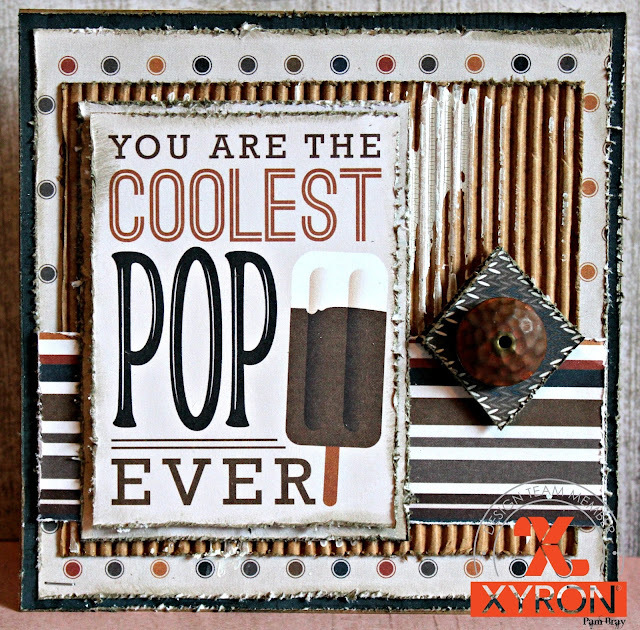 Adhere one piece to card front with Xyron Tape Runner. Add second piece with pop dots. Fussy cut two diamond images from pattern paper. Distress edges with distress tool and distress ink. Adhere one to top of card front with Xyron Tape Runner. Add second with pop dots. 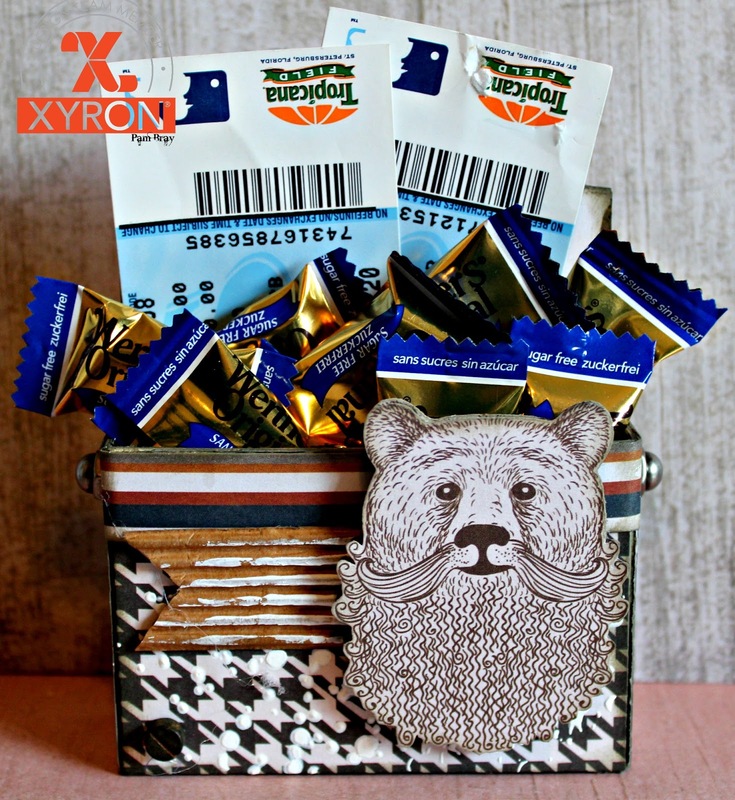 Begin you "This Guy" Gift Box by first cutting box using Sizzix Caddy Die, mat board, and pattern paper. Run die cut pattern paper pieces through your Xyron Creative Station and Xyron 9" Permanent Adhesive. Attach to top of mat board die cuts. 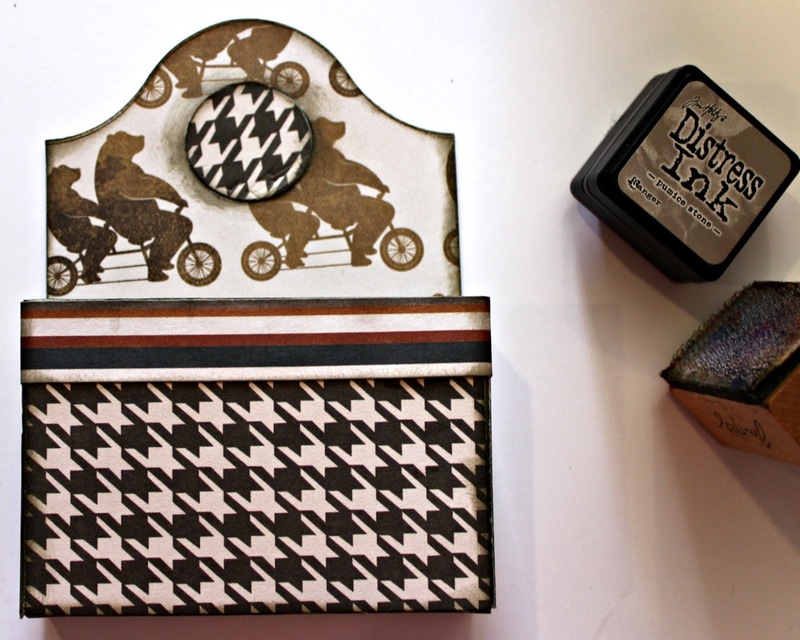 Ink edges with distress ink. Place border and sticker on center of caddy box. Adhere flag to top of caddy box; apply paste with palette knife. Fussy cut two images from pattern paper. Place one in Xyron 3" Non-Refillable Sticker Maker; add to front of caddy box. Adhere second to top with pop dots. 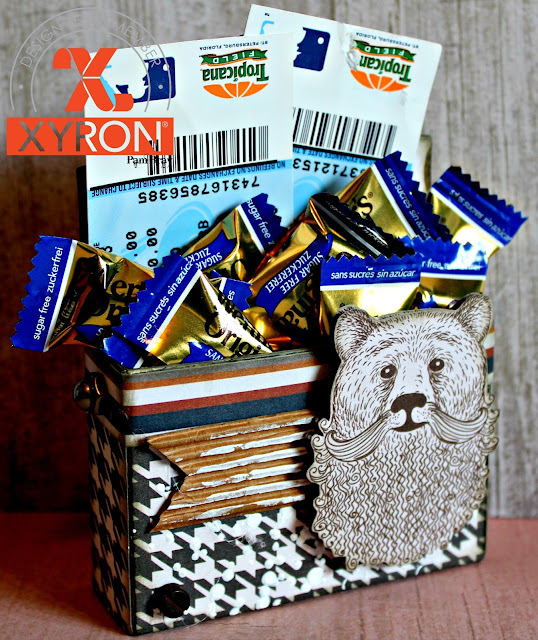 Fill with prepared "This Guy" Gift Box with favorite candies, gift cards, tickets, etc. I hope you are inspired to grab your favorite Xyron products and create something special to give as a gift. stop by and check out my Xyron team mates Nicole Wright and Katie King see what they have created. YO HO HO!!! Happy Birthday with Stampendous!